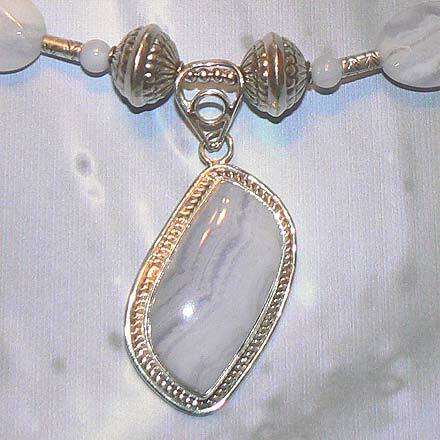 Sterling Silver Blue Lace Agate Necklace. See Closeup. 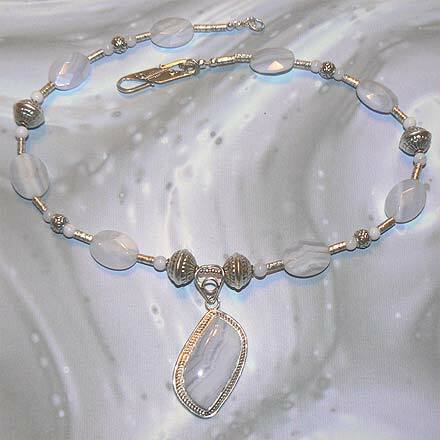 Sterling Silver Blue Lace Agate Bracelet. Nice faceted oval beads in this set. For those who are interested in Astrological significances of stones, Agate corresponds with Capricorn and Gemini. 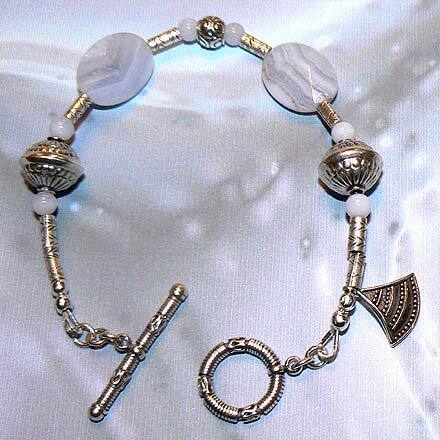 Please Read: All chains, wire, findings, settings and silver beads are solid .925 sterling silver*, NOT silver plated. Size of pendants include setting and bail; size of necklaces and bracelets are approximate and include clasp length. Please note that bracelets tend to be on the small side for smaller wrists as it is easier to add links to adapt to a larger wrist than it is to remove beads to fit a smaller wrist. You can have a local jeweler add links to extend the toggle clasp, however this is not a service that we provide.